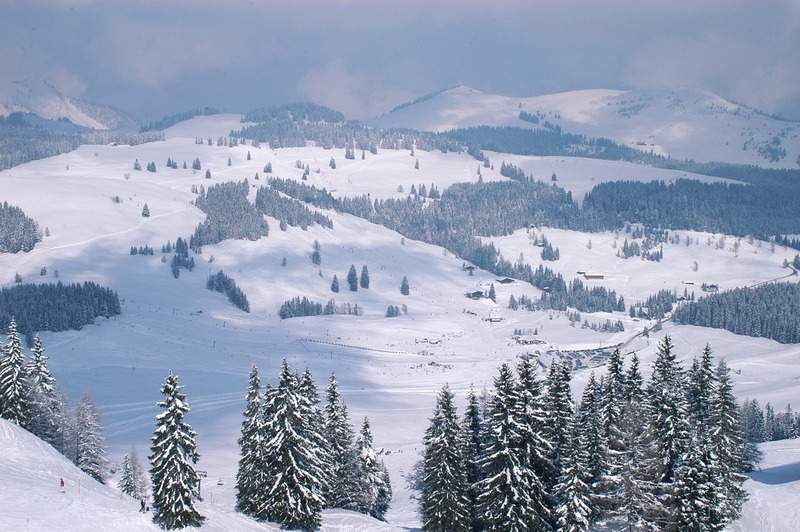 The sunny Postalm high plateau in the Abtenau holiday region is perfect for winter hikes and snowshoe hiking in the Alps. When the first afternoon shadows are descending on the valleys, you can still be enjoying sunny hours at the Postalm from November until April. Look forward to the beautiful views of the wintry landscape between Lake Wolfgang and the Lammertal Valley. Start your winter hike at car park 1 near the Postalm ski lifts and take a winter hike in the Alps on well-marked hiking trails of varying lengths. You will discover not only the largest interconnected mountain pasture area in the Austrian Alps, but also family-friendly alpine chalets and ski huts, perfect for stopping to have a bite to eat. 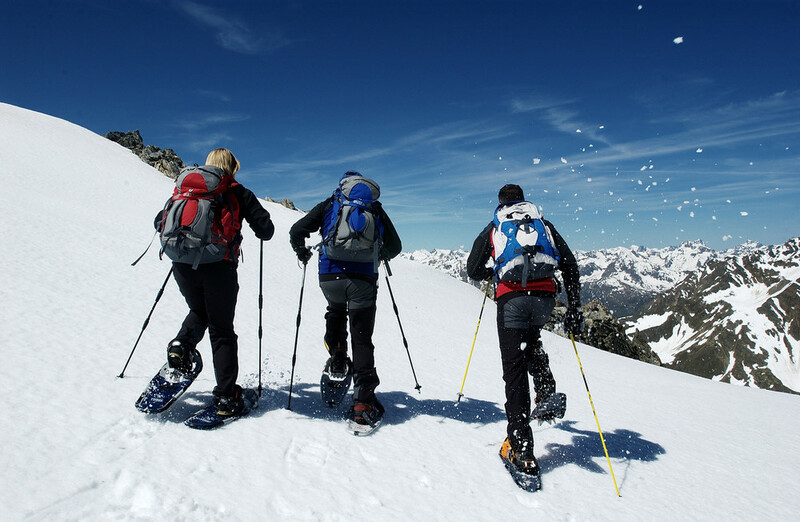 The Postalm is great for both leisurely and challenging snowshoe hikes. Choose from easy snowshoe trails along the cross-country trail or exciting backcountry trails to the area’s mountain summits. Our tip for all snowshoe hikes at the Postalm is a trip to the Labenbergalm chalet. 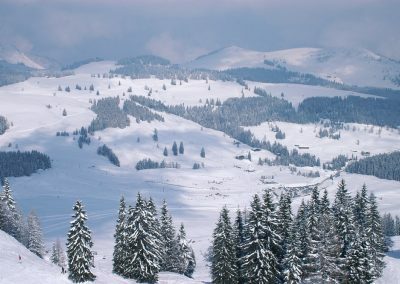 Leisurely snowshoe hikers can keep going to the Pitschenbergalm chalet and athletic snowshoe hikers can head to the summit of the Labgenberg mountain. This is a challenge which is rewarded with sensational 360° views! 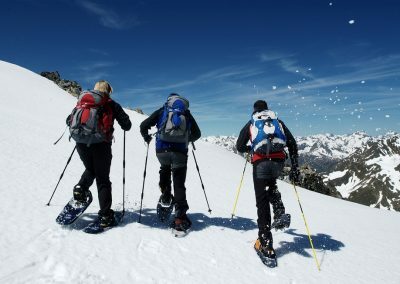 You´d like to try snowshoe hiking in your holiday destination Abtenau? No problem: At the ski rental and ski depot at the Postalm and in the ski rental shops in Abtenau you can rent a pair of snowshoes and poles.